See more of Old Cairo in less of the time on this action-packed half-day tour. 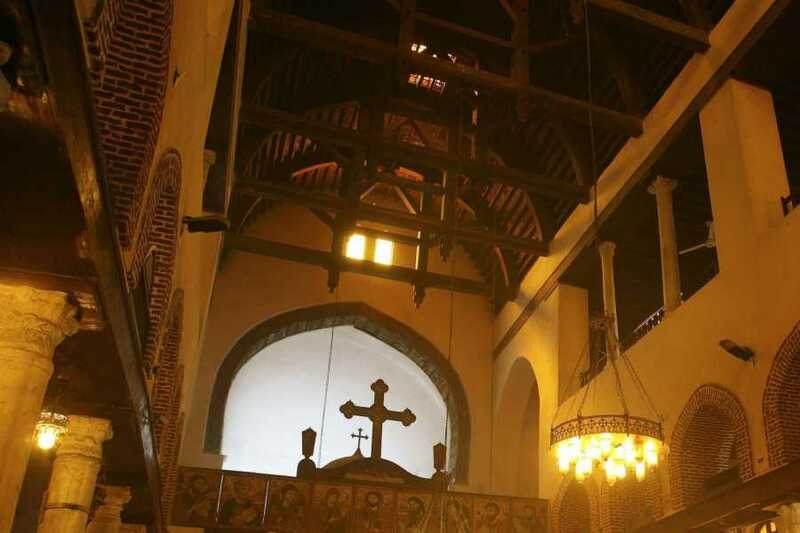 Traveling with a guide, visit the Hanging Church, the Church of Abu Serga, the Church of St. Barbara, the Ben Ezra Synagogue, the Citadel of Saladin, the Alabaster Mosque, and the Khan Al-Khalili bazaar. Your tour includes door-to-door round-trip transfers. As Per Requested time Pick up from the Hotel by Emo Tours Your guide to Start your Half day tour to Old Cairo that Also known as Coptic Cairo which is mean Christian Cairo it has been Recognized as a holy place because some of the locations there has been visited by the Holy Family where the spiritual impact of their presence is most felt still; though their stay was brief, for the Governor of what was then Fustat enraged by the tumbling down of idols at Jesus’ approach sought to kill the Child. But they took shelter from his wrath in a cave above which, in later years, the Church of Abu Serga (St Sergius) was built. This and the whole area of the Fort of Babylon is a destination of pilgrimage not only for the Egyptians but for Christians from around the world. An air of piety and devotion pervades the whole district there. in old Cairo, you will be able to visit the Church of Abu-Sergah and St. Barbara, the hanging church, and the old Jewish synagogue – Ben Ezra Synagogue.